You will receive a California assessment letter from California’s Department of Tax and Fee Administration (CDFTA), if you have been selling on Amazon via FBA, have stock in California, and haven’t registered to collect and remit sales tax soon. As you know, you received an email on October 23rd, from Amazon, where they notified you, as a seller, that California will have your EIN, account name and address. If you have been collecting and remitting sales tax in California, you should be in good shape, unless you had other accounts that were not in compliance. Update: March 22, 2019: California is expected to send out another round of letters to Amazon sellers not in compliance within three weeks. If you are a new seller in 2018 and have not registered in California (assuming you have FBA stock in the state), this is the time to get registered, before you accumulate too much more in sales tax, penalties, and interest to pay out of your own pocket, plus late fees on returns. If you have been selling since 2017 and before, and have not registered for various reasons, you will want to act on the letters you will receive soon. You may have also received a nexus questionnaire from California in the past, separately from a letter coming from the CFTA. You may have received a California assessment letter that has your sales information. Keep in mind that California has an information sharing agreement with the IRS to obtain your tax records and sales. California also has access to http://www.accurint.com/, which is an asset/person locator. This allows California to obtain more information when needed. There is also a high probability that California has obtained your seller data besides just your EIN, business name and address. This leads to having sales tax numbers to send out assessment letters. What Happens After a California Assessment Letter is Received? Will California Seize Funds from Your U.S. Bank Account? Within 30 days of an assessment being issued or a substitute for return is filed, the CDFTA can start collection activity. As an Amazon seller, this usually means levying bank accounts with nexus in California (this does happen without notice) or potentially levying Amazon directly (this may be a solution in the future). Seizing inventory does take a lot of work, and California will normally go after cash or other liquid assets instead. It is possible for California to levy your Amazon account directly and take income sales/monies. This has not happened yet but may become the “last resort” if sellers do not respond. Update: The deadline to respond is January 15th to register for sales tax in California. 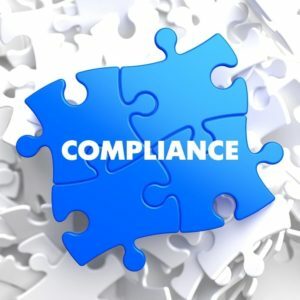 In the end, it will be in your best interest, as an Amazon FBA seller, to get into compliance with a California assessment letter. This involves multiple steps, including registering for a sales tax permit as an out-of-state seller and paying the back sales tax, penalties, interest, and late returns. Unfortunately, this pattern is expected to continue with other FBA states that are frustrated with lack of registration of e-commerce sellers to collect and remit sales tax.